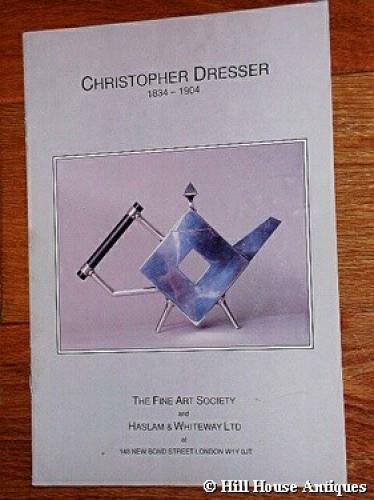 Scarce and out of print 14 page Christopher Dresser exhibition catalogue held in London in 1990 - a collaboration between the Fine Art Society and Haslam & Whiteway. 94 b/w illustrations plus colour back cover, covering all the major manufacturers Dresser designed for and in all mediums. A4 size publication.